Teccor K1500E70 SIDAC is a silicon bilateral voltage triggered switch that can handle greater power than a standard DIAC. 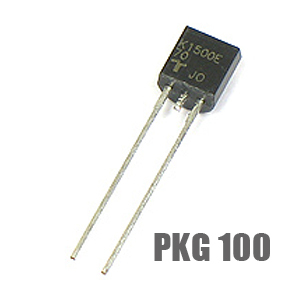 These are rated I(T) 1Amp and V(BO) 140V to 170V. Plastic TO92 case. These are found in metal halide ignitor circuits, strobe circuits, etc.